On 6 March, the Civil Justice Council held a workshop to discuss the recommendations made in its interim report on ADR, which was subject to consultation late last year. The interim report addresses concerns regarding a perceived underuse of ADR within some sections of the civil justice system and suggests a variety of possible corrective measures. The proposals include a power for the court to determine whether costs sanctions should be imposed for unreasonable conduct relating to ADR (such as an unreasonable refusal to mediate) not only at the end of a case, as currently, but during the matter when the decisions regarding ADR are taken. Jan O’Neill has published a post on Practical Law’s Dispute Resolution blog in which she questions how realistic the suggestion of “midstream” assessment of parties’ conduct relating to ADR would be in practice. She suggests that many of the concerns expressed in the report as to the underuse of ADR are not relevant to many larger, complex claims, and urges the working group to tailor any final recommendations to the specific courts or dispute types for which the evidence suggests they are needed and practicable. Click here to read the post (or here for the Practical Law Dispute Resolution blog homepage). The case concerned a dispute between two unrepresented litigants, formerly successful business partners, who had fallen out and were pursuing litigation with a vengeance. Despite being, in Ward LJ’s words, “intelligent and not unsuccessful businessmen”, the parties steadfastly refused to mediate despite the continued encouragement of the trial judge, which resulted in a disproportionately expensive trial and appeal process. The appeal itself concerned an alleged procedural error by the trial judge in not acceding to a request by one party to adduce oral evidence, an error which Ward LJ considered may well have arisen, in part at least, as a result of the “chaos which litigants in person inevitably – and wholly understandably – manage to create” in such cases. Delivering his judgment in Wright, Ward LJ noted that in Halsey he had been persuaded by the argument that to order parties to mediate would fall foul of the right to a fair trial enshrined in Article 6 of the European Convention on Human Rights. In Wright, Ward LJ suggests that he may have been wrong to decide this point as he did in Halsey and rhetorically questions whether forcing the parties to go through an additional step before gaining access to court would in fact be an “unacceptable obstruction”. Whilst he declines to answer this question, since the point was not before the court in Wright, he suggests that a “bold judge” may wish to accede to an invitation to rule on this question, in order that the Court of Appeal may revisit this aspect of Halsey in the light of developments in mediation practice over the last decade. Ward LJ also suggests in Wright that CPR 26.4(2)(b) (which allows a court at the allocation stage to stay proceedings of its own initiative in order for the parties to attempt ADR), might permit the court at any time to direct a stay for mediation to be attempted with the warning of adverse cost consequences for unreasonably refusing to attempt ADR. The recent reduction in legal aid funding may on its face have saved expenditure in one area, but this has, in Ward LJ’s view, simply increased the costs and expense of court proceedings, both at the trial and appellate stages. Aside from the “inevitable chaos” of a case involving unrepresented litigants (Ward LJ refers to the requirement on judges to “micro-manage” such cases and praises Judge Anthony Thornton QC in this case for his “manful, patient, polite, careful and conscientious” efforts in this regard) he considers that Wright also highlights the impossibility of shifting litigants off the trial track and onto the parallel track of mediation, a situation which he describes as “depressing”. This is particularly so since he considers mediation to be a proper alternative to be “tried and exhausted” before finally resorting to trial, especially in cases such as this where mediation is an obvious way to move forward before parties “cripple themselves with debt”. Ward LJ’s comments, whilst persuasive, are obiter and it therefore remains to be seen whether a suitable case and a “bold judge” emerge to tackle this issue head on, as he hopes. If this aspect of Halsey is overruled, it will be interesting to see how this will affect both the take up of mediation and its success rate. It seems likely that legislation (either adapting CPR 26.4(2)(b) or a new provision entirely) would be desirable to put matters on a clear setting. In any event, forcing a party to mediate is one thing, forcing them to settle is a different matter entirely and is fraught with theoretical and practical difficulties even in cases which are overwhelmingly ripe for mediation. It is well established that the success of mediation often rests in large part on the parties’ willingness to engage in the process, and as Ward LJ himself acknowledged, “you may be able to drag the horse (a mule offers a better metaphor) to water, but you cannot force the wretched animal to drink if it stubbornly resists.” The increase in court-annexed mediation pilots in England & Wales (for example in relation to small claims and certain appeals) should be monitored closely and their success analysed in this regard. In a judgment handed down in October 2012 but only recently made available, the English Court of Appeal has set out guidance on the factors to be taken into account when assessing a successful party’s refusal to mediate and general approach to settlement: Newman v Framewood Manor Management Co Ltd  EWCA Civ 1727. The Federal Court of Australia has for the first time ruled on the requirement to take “genuine steps” to resolve a dispute under the Civil Dispute Resolution Act 2011 (Cth) (the Act): Superior IP International Pty Ltd v Ahearn Fox Patent and Trade Mark Attorneys  FCA 282. The lawyers for both parties failed to file a genuine steps statement, and also failed to inform their clients that they were under an obligation to comply with this requirement. In his judgment, Reeves J described the conduct of the parties as “the antithesis of the overarching purpose of civil practice and procedure.” As a result, Reeves J joined the lawyers as party to the proceedings for the determination of costs but stopped short of imposing personal costs orders on the lawyers on the basis that the respective clients had rejected the opportunity to seek to recover their costs. Michael Mills and Lauren Whitehead in our Sydney office explore the case and its implications. The year-long Court of Appeal mediation pilot launched on 2 April 2012 has been endorsed in the recent case of Ghaith v Indesit  EWCA Civ 642. Under the pilot, unless a judge exceptionally directs otherwise, every personal injury, clinical negligence and contractual claim worth £100,000 or less, and in which permission to appeal has been granted, will automatically be recommended for mediation to CEDR. If the parties agree to mediate, a panel of accredited CAMS mediators will be nominated by CEDR. The selected mediator will bring the parties together to try to reach a settlement, and if this is achieved, the case will not go back to the Court of Appeal. Mr Ghaith appealed against the dismissal of his £60,000 personal injury claim against his employers, Indesit. In giving permission to appeal, Toulson LJ recommended that the parties utilise mediation (as the case fell within the scope of the pilot). However, Indesit’s insurers rejected this on the grounds that costs already incurred exceeded the amount at stake. The Court (Longmore, Ward and Patten LJJ) allowed the appeal and remitted the case back to the County Court for the assessment of damages. 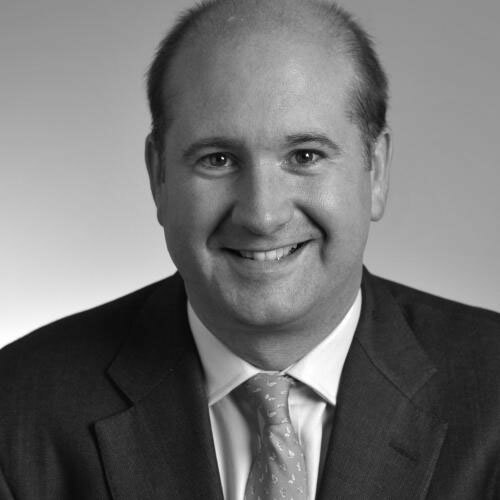 Longmore LJ firmly rejected Indesit’s excuse for rejecting mediation, commenting: “This is an inadequate response to the Court’s encouragement of mediation, since a full day in this Court will inevitably result in a substantial increase in costs.” Since the appeal in Ghaith was allowed, the question of costs sanctions for failure to mediate did not arise. However, given the degree of judicial encouragement, refusal to mediate by a successful party would likely be clear evidence of unreasonableness, attracting cost sanctions.